In this article, Rick Walker summarizes his first impressions of the new and highly anticipated Nikon D810 and enthusiastically states that it is "the best general purpose camera he has ever used." 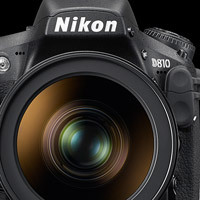 How does the new model compare to the D800E? Read more and find out. Nikonians Academy instructor Michael Mariant is preparing for photo adventures in his home state of California. He's been teaching and sharing as a member of the Academy staff for many years and his portfolio includes work in all parts of the globe, but his West Coast photography workshops can easily be called one of his specialties. 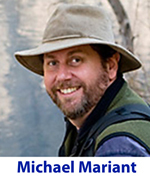 One of the most popular workshops Michael runs is the Eastern Sierra and Owens Valley workshop (September 18-22). Each year, participants come back with stunning images of the landscape as well as beautiful shots of stars in the clear Californian back country. For those of you channeling your Inner Ansel Adams, be sure to check out Michael's Black and White Digital Zone workshop October 3-5 and our annual Death Valley Sand Dunes and Landscape Oddities workshop November 14-17. His Advanced Photography Course: The Zen of Thinking, is already sold out. September is an incredible time to visit Yellowstone for wildlife photography. Jim Stamates is running this year's fall trip to Yellowstone and knows this park inside and out. Jim has an uncanny ability to consistently deliver wonderful wildlife photography experiences on his tours. Fall in Yellowstone National Park is an exciting time. Bears have entered hyperphagia so they feed constantly, preparing for hibernation. 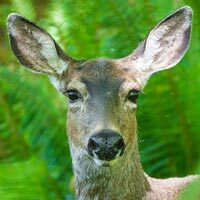 Most of the deer species are in full rut with giant bull elk bugling and chasing females. Pronghorn bucks gather their harems and chase off the competition. Wolves are active in the early mornings in Lamar Valley as the young pups join the pack to hunt their prey. 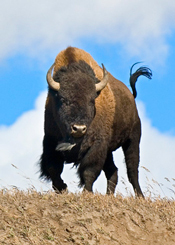 Bison herds roam the meadows as autumn colors return after a summer of love. The air has the smell of changing seasons and winter is just around the corner. This is Yellowstone National Park in its prime. This trip is scheduled for September 22-25 and still has a few seats available. Our members have described these workshops as "simply the best" way to learn the camera, software or wireless flash skills you've been dying to learn. Mike Hagen has added our very popular Lightroom and Nikon wireless flash workshops in Los Angeles and Seattle. Steve Simon is running our camera workshops and his Passionate Nikon Photographer workshops in San Francisco and New York City. We have lots more trips this year and we encourage you to head over to the Academy website for more information on Tanzania, Acadia, Iceland, and India. Nikonians.org plans for technology upgrades in the near future are underway with help from the Nikonians 2014 fundraising campaign. 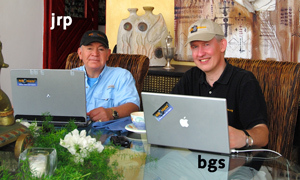 Our founders, J. Ramón Palacios (jrp) and Bo Stahlbrandt (bgs) will concentrate on making the site and services easily accessed by current technology, including the growing number of mobile users. This will require integrating the various areas better, such as galleries, forums, articles and blogs. 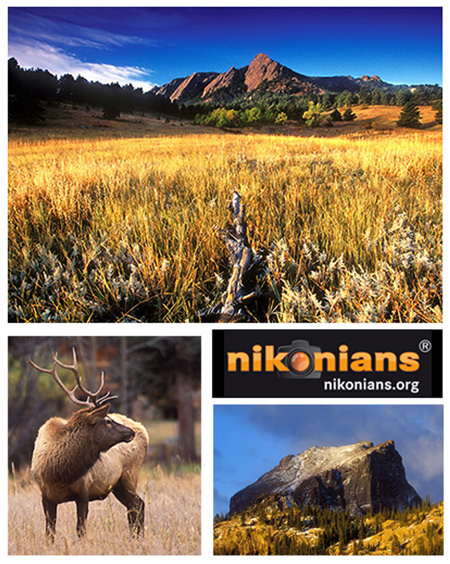 Our Nikonians 2014 Fundraiser News Blog provides background on this campaign. In brief, your support will allow us to pursue our work and continue our mission to share, learn and inspire. The goal is to apply funds raised towards improved navigation and ease-of-use as demanded by today's Internet users. Additionally, your donations will help members take advantage of increased worldwide opportunities to meet up and interact, through local gatherings, tours and chapters. If you donate $100 US Dollars or more, you will receive a unique Nikonians cap signed by the founders. If you donate at least $250 US Dollars, you will receive two unique Nikonians t-shirts plus the cap. Donations over $5,000 US Dollars will receive an invitation for a special North American photography trip with the founders in 2015. Please allow for three to four months for the shipping of merchandise. We will contact you for details and address prior to shipping. For more information about Nikonians community, its vision and values, please go to About Nikonians. For detailed information about operating Nikonians as a not-for-profit site, read our Wiki: Are you doing all this for a profit? Nikonians Academy Director Mike Hagen tells us the academy curriculum has many new workshops posted this week. The Masters Series workshops are headed for Los Angeles and Seattle this October. 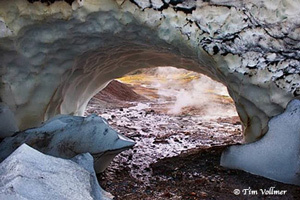 Iceland in winter 2015 is set to begin February 8. The Northern India Tea, Landscape and Wildlife Photo Adventure (April 2015) will take you to photograph mountains, wildlife and the tea harvest. The 2015 Tanzania photo safari begins November 4, and the Galapagos Photography Adventure starts September 13, 2015. Mike has filed another workshop leader interview with Les Picker, which is posted at the tail end of this blog (after we take care of some timely announcements). 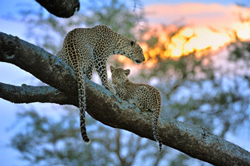 We mentioned Tanzania for next year, but your workshop leader (Mike Hagen) has an extra incentive for this year's version. "The Tanzanian government is just about to institute a new VAT (Value Added Tax) that will increase travel costs by 10% or more for future travel. If you've been thinking of going to Tanzania, then now's the time so you can beat the tax." ►This week, Jim Stamates is in the middle of his Alaska - Whales, Bears, and Ice Fields Wildlife Photography Adventure. ►In just a few weeks, Mike will be leaving for his sold-out photography adventure to Iceland. Don't miss the opportunity to join the academy staff on an incredible adventure to a global destination you've always wanted to visit. ►Rick Hulbert will be in Texas during the first two weeks of September running his signature Urban and Street Photography workshops in Houston and San Antonio. These are beautiful cities, so we pick great venues to host the classes. For example, the location for the San Antonio workshops will be downtown within a couple of blocks walking distance of the famous Riverwalk and within walking distance of some great locations for field photography of buildings, garden waterscapes and some photogenic people. You will have an opportunity to photograph some lovely urban evening scenes as well. For the third year, Les Picker will lead a 4-day photography workshop in iconic Acadia National Park, along Maine's storied rocky coast (October 16-20, 2014). 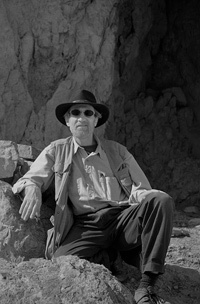 What many Nikonians may not realize is that Les lived in Maine for 10 years and did his graduate research in Acadia National Park. Few people anywhere know the park as well as he does. We thought we'd ask Les a few questions to spark Nikonians' interest in this always popular workshop. Why should Nikonians members consider a workshop in Acadia? Acadia is one of the nation's smallest, yet most diverse national parks. In a manageable area, we have mountains and rocky coast, forests and meadows, streams and lakes. Wildlife abounds. In the fall, when we have our workshop, the foliage is gorgeous beyond belief. What happens during the workshop? We start at least two of the days before sunrise, so we can catch the seashore as it is bathed in golden light. We visit stands of moss-covered rocks, verdant forests, running streams, and spectacular lakes fringed with fall foliage. For sunset, we usually find ourselves back along the rocky coast. Evenings include a session designed to prepare us for the next day's shooting, as well as tips and techniques from Les for more effective picture taking. A voluntary critique is part of the evening session as time allows. Do participants have to be in top physical shape? The short answer is, no. Some locations involve hiking short distances. However, these can be done according to the person's abilities. Perhaps you won't hike quite as far, but the sites you are able to access will be spectacular! Most definitely! There will be many locations that are just as interesting to the non-photographer or for a point-and-shoot enthusiast. Are there any special things going on this year? Again, most definitely. This year I will be bringing my incredibly talented video assistant. He will be doing a presentation on using the video functions on your Nikon (and other brand) cameras. We will be discussing story-telling - landscape, wildlife, or documentary - combining videos and stills. Where can Nikonians get more information? 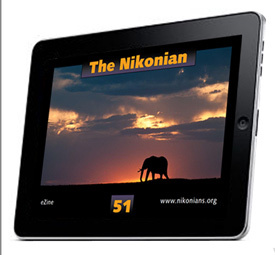 Check the Nikonians Academy site here. Nikonians.org founders Bo Stahlbrandt (bgs) and J. Ramón Palacios (jrp) are thanking the generous members already supporting the Nikonians 2014 fundraising campaign. As of this week the fundraising thermometer is creeping towards the $4,000 mark, thanks to some hefty additions (including one for $1,000). Our founders want to make sure everyone understands that all donations, regardless of the amount, are deeply appreciated. The campaign is designed to expand and improve the experience for all users visiting the community. In addition, quite a few members chose to stay in the anonymous listing category (but the founders know who you are and thank you). If you donate at least $250 US Dollars, you will receive two unique Nikonians t-shirts plus the cap. Donations over $5,000 US Dollars will receive an invitation for a special North American photography trip with the founders in 2015. Please allow for three to four months for the shipping of merchandise. We will contact you for details and address prior to shipping. 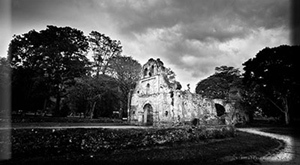 Only a few seats are left for the 14th Annual Nikonians Photo Adventure Trip (ANPAT). Our founders, J. Ramón Palacios (jrp) and Bo Stahlbrandt, want you to know they will soon be closing down bookings in order to make hotel reservations in a timely manner. If you have been considering making the trip, now is the time to sign up. The ANPAT, at Rocky Mountain National Park in Colorado, USA will be held from September 28 to October 4. The park is a photographer's dream location with classic landscapes, sweeping panoramas, and giant mountain vistas. Check the official Nikonians Academy ANPAT page for more information. To see what the attendees are discussing in advance of the adventure, click here. Based on the success of our previous European Urban and Travel Photography workshops, Rick Hulbert has just added two new dates for Munich, Germany and London, England. If you are in the USA, then be sure to check out Rick's Urban and Street Photography workshops set for Houston and San Antonio, Texas this September. You will learn how a basic understanding of street photography will assist in your architectural and urban photography. You will discover how the fundamental principles of travel photography will enhance your architectural and urban imaging. While the illustrated lectures will give you the fundamental information you need, we will spend a significant portion of the workshop in the field, with hands on photography. Your professional instructor, Rick Hulbert, will also give daily constructive critiques of your own selected images which is a key part of the learning experience. We continue to add more Masters series workshops around North America. Our next workshops are set for San Francisco from September 9-14, 2014. Our September workshop schedule is packed full of amazing trips to places like Sri Lanka, the Eastern Sierra, Yellowstone and Rocky Mountain National Parks (the ANPAT). We are already sold out for our September Grand Teton trip and Galapagos trip, so don't hesitate if you are thinking of going on one of our incredible photo journeys. For most photographs of nature, the color green is essential to the overall impact and believability of the image. If the greens look good, then the rest of the photo is believable. In this article, Mike Hagen (Mike_Hagen) will show you three ways for achieving believable greens using a variety of software tools. Many people have wondered about how Long Exposure Noise Reduction (Long Exp. NR) works. To clear up any misconceptions, this article will describe the unusual method the camera uses to remove noise caused by a long exposure. 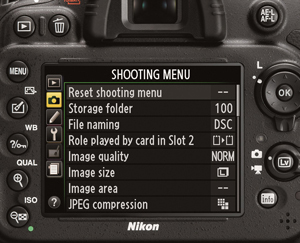 Let’s examine how it works and how to enable it on your camera. Our Nikonians Academy instructors are putting the finishing touches on their upcoming workshops and trips. 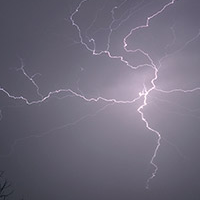 Jim Stamates' 11-day Costa Rica photography tour next February is shaping up to be an amazing trip. Jim has been leading tours to this lush land for years now and know the are extremely well. This adventure is limited to 12 explorers for a more personal experience. This is an eco-adventure and includes everything Costa Rican from mountains to beaches, rural towns to rain forest, wildlife, birds, scenery, butterfly gardens, culture, volcanoes and even a sunset boat tour that is one of the highlights of the trip. Our August workshops are sold out, but September workshops are right around the corner. Join us for Rick Hulbert's Urban and Street Photography workshop in Houston and San Antonio, Texas. Then, we have Steve Simon's Master's series workshops set for San Francisco (starting September 9) where he'll be teaching classes on all the current Nikon dSLRs such as the D610, D600, D7100, D800, D4s, Df and more. Our Sri Lanka trip in September only has three seats remaining. Don't hesitate to sign up for this if you are looking for an exotic adventure to a foreign land. This trip highlights wildlife, landscapes and cultural photography by one of the best in the business - Les Picker. Join us for a 12-day (11-night) exploration of the unparalleled photographic possibilities in this island nation. 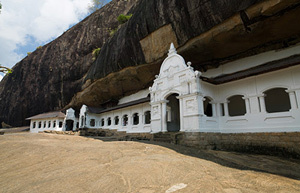 Located off the southernmost coast of India, Sri Lanka is replete with some of the oldest Buddhist and Hindu temples in the world (many still in use), some of the friendliest and most photogenic people on Earth, and wildlife that rivals Africa?s best locations − all at a fraction of the cost. Mike Hagen, Nikonians Academy Director, still has seats available for his Cuba Cultural and Photo Tour this October and his Tanzania Safari this November. Both trips offer stunning photo opportunities and daily instruction from Mike. Nikonians Contest Coordinator David Summers (dm1dave) has posted the results of the May Master Your Vision forum contests. You will notice we have dual winners in the wildlife contest due to unusually heavy participation. 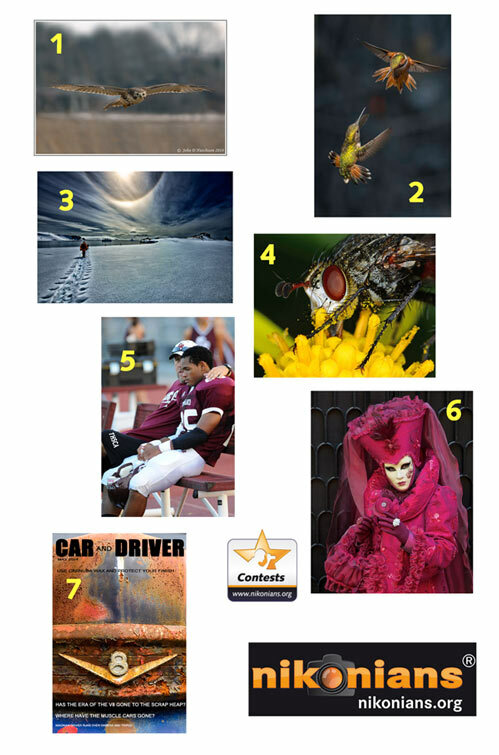 Check our seven-image legend below and scroll down for the names of the winners. The legend includes photo links which will lead you to explanations behind some of the photographs and an overall look at the competition in each category. Wish to participate? For information on entering our contests, check this post by David Summers. Nikonians.org founders Bo Stahlbrandt (bgs) and J. Ramón Palacios (jrp) have announced a fundraising campaign this week. The campaign is designed to expand and improve the experience for all users visiting the community. Back in 1999, when the community was founded, setting up and running a social-based website for like-minded individuals was not as costly. Our founders hosted only a relatively small population of members and costs for server maintenance and bandwidth were significantly lower. When nikonians.org opened to the public on April 30, 2000, it began with only 30 members. One year later 2,600 registered members formed the basis of the community. The following year (2002) in response to the increased costs of operating the site (until this time solely handled by our founders) the early stages of our paid membership plan were introduced. Throughout these years the founders have been eternally grateful to the backbone of the community, our Moderating Team of volunteers. Check our current Team roster to meet these professional ladies and gentlemen whose combined experience in photography spans hundreds of years. The current paid membership plan helps defray the costs, and our founders are concentrating on keeping Nikonians.org running as a not for profit organization. 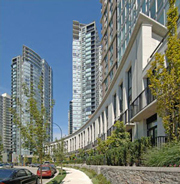 "All capital generated through our operations is reinvested to sustain it and its growth. As a community, we are relying on the commitment of our members. Our membership fees are the most important revenue, representing over 85% of the total revenue. The rest is coming from our limited advertising campaigns with a few partner companies. Several tens of thousands of users register as members at Nikonians per year. However, only ca 5% of all members are supporting the community financially through a contributing Silver, Gold or Platinum membership." Thus was born the idea of a fundraising drive. The goal is to apply funds raised towards improved navigation and ease-of-use as demanded by today's Internet users. They will concentrate on making the site and services easily accessed by current technology, including the growing number of mobile users. This will require integrating the various areas better, such as galleries, forums, articles and blogs. "Deliver more in-depth articles and content and last, but not least, to be able to organize more events and local gatherings." Your support will allow us to pursue our work and continue our mission to share, learn and inspire. That mission includes helping members take advantage of increased worldwide opportunities to meet up and interact, through local gatherings, tours and chapters." Summer is here and the Nikonians Academy curriculum is in full swing. Academy Director Mike Hagen tells us quite a few workshops and photo trips have already been sold out, so it is time to start thinking about the fall season. Acadia National Park is always a hot spot during October and is known the world over for beautiful fall colors set against a stunning ocean seascape. Join Les Picker on our 4-day Acadia National Park photo adventure (October 16-20). 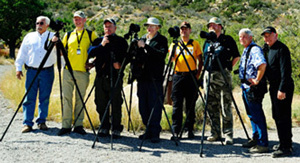 This year Les will be accompanied by his video assistant, who will help participants learn how to more effectively use Nikon (or Canon) video on their DSLRs or point-and-shoot cameras. This creative outlet is increasingly being adopted by photographers to express their creative intent. The 14th edition of the Annual Nikonians Photo Adventure Trip (ANPAT) is sure to be a tremendous adventure of like-minded photographers. The setting this year will be in Rocky Mountain National Park. Join us September 28 - October 4th. Rocky Mountain National Park is a photographer's dream location with classic landscapes, sweeping panoramas, and giant mountain vistas. Each and every day, our intrepid ANPAT-14 crew of photographers will explore the mountains of Colorado. We put together a detailed daily itinerary that highlights the best the area has to offer and traveling on our own time table gives us the flexibility to stay on location as long as we wish. We only have a few seats left. 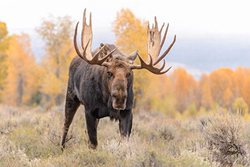 Jim Stamates is one of the USA's premier wildlife photographers and he's running two fall wildlife photography trips to Yellowstone and the Grand Teton National Parks during September. "Mike, the Yellowstone and Tetons were phenomenal this spring. Fox and coyote dens with pups, Badgers and all the usual species with young including bears. The best sighting of our trip was a pronghorn giving birth to twins. An amazing week." Don't forget to check out all of our other trips and classroom workshops in places like Cuba, Death Valley, Tanzania, San Francisco, Houston and New York. It's again that time of the month when we list the most popular tweets tweeted by @nikonians. This time we have two articles and eight discussions ready for you. 2. What harness for your camera... and your back? 3. Can you tell which photo came from which camera? 5. Which lens for the Nikon D7100 and its high resolution sensor? 6. Which 70-200mm lens: f/2.8 or f/4? 9. Vibration Reduction - The way to a blurry free image? 10. How do Nikonians feel about the new Nikon D810?